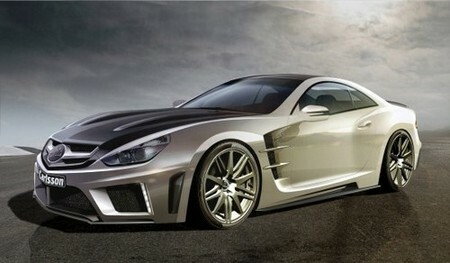 German tuner, or car manufacturer let’s say, Carlsson is working on a new super GT based on Mercedes Benz SL 600 V12 to be shown at 2010 Geneva Motor Show. Dubbed the C25, it comes with a whole new body, which might be still recognizable as a Merc SL, but is bold and amazing from every angle and has got the presence of a supercar. It is also powered by the same twin-turbo V12 as the SL 600, but for the C25 it’s been modified deeply to deliver no less than 753 and an impossible 1350 nm of torque! And that is impossible torque, so the tuner had to electronically limit it to just 1150 nm. Still enough to restart a dead planet with! The performance this powerplant results in just boggles with mind! 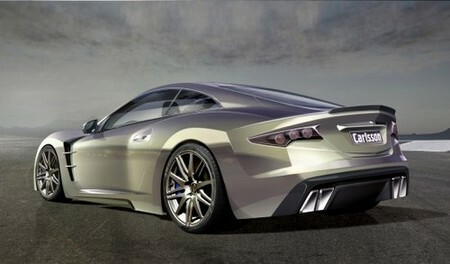 0 to 100 km/h is done in just 3.7 second and it can reach a top speed of over 350 km/h. Of course Carlsson has adjusted the chassis and suspension to cope with this extreme performance as the car comes with a tweaked C-tronic suspension system which lowers the ride height intelligibly. They have also fitted it with big powerful brakes and 9,5×20 and 12×20 inches lightweight alloys. This being a luxury GT, the tuner also offers a lavish interior decorated with a blend of real carbon, tanned buffalo leather and ultra-suede in special colours. Mind you the C25 is limited to only 25 units and each goes for as near as makes no difference half a million euros!